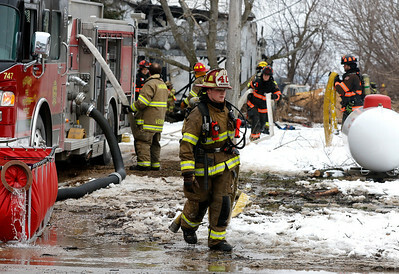 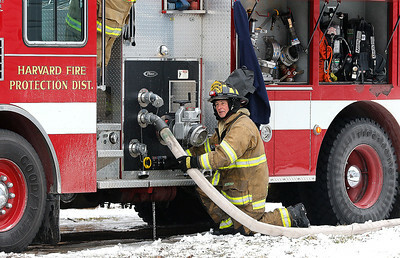 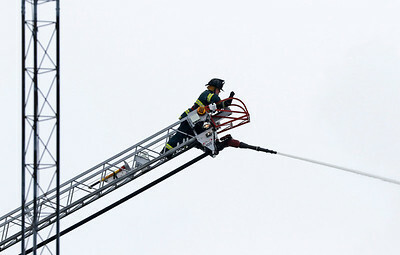 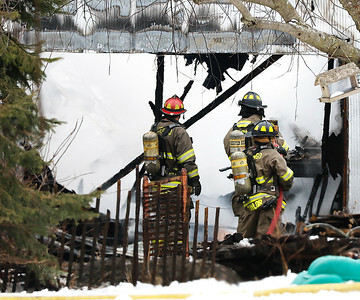 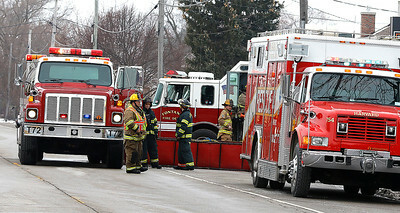 A Harvard firefighter works to disconnect a hose after battleing a fire at 11403 Rt. 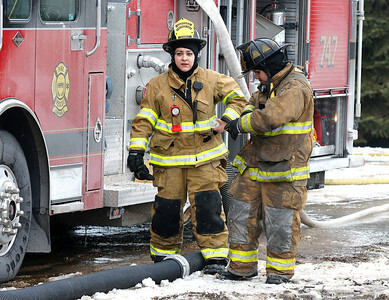 14 in Big Foot on Thursday, March 3. Firefighters from a dozen area departments assisted Harvard crews with the fire in an out building approximately 50 by 100 feet A tanker operation was conducted to truck water into the area as there were no hydrants. 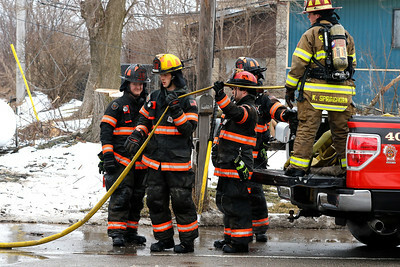 There were no reported injuries.